A training center for sales people, technicians and customers on all marketed products. 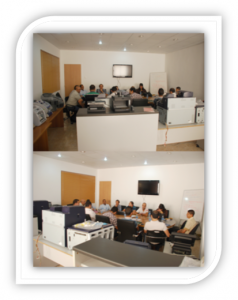 Training and user support is provided by qualified Technicians and Engineers from High Tech Systems. Upon delivery of the Equipment, users will be trained on the daily start-up of the equipment, the precautions to be taken for a better exploitation, as well as the use of the different modes of operation of the delivered Equipment. Share the post "TRAINING AND ASSISTANCE TO USERS"